A well presented three bedroom semi detached family home, offering a generous size rear garden and easy access to Bletchley train station and local amenities. 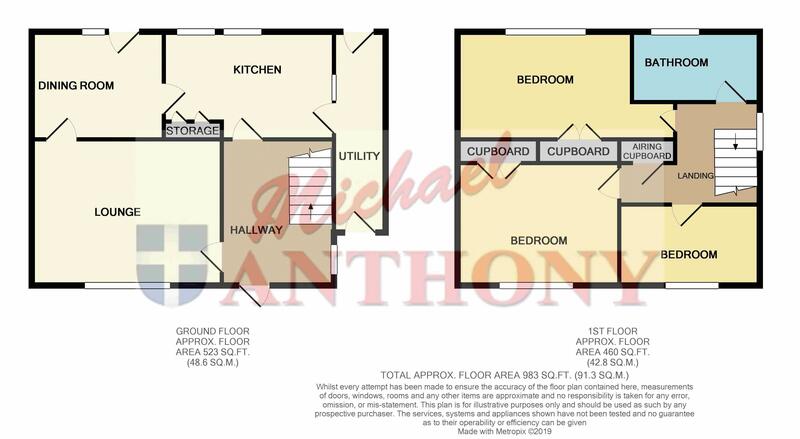 Comprising entrance hall, lounge, dining room, kitchen, bathroom, front & rear gardens. Double glazed window to side aspect, radiator, door to kitchen, stairs rising to first floor. Double glazed window to front aspect, radiator, television point, gas fireplace. Double glazed window to rear aspect, radiator, door to kitchen, double glazed doors to garden. Two double glazed windows to rear aspect, further double glazed window to side aspect, a range of storage cupboards at base and eye level, rolled edge work surface areas, splash back tiling, single drainer sink unit with mixer tap over, gas oven and hob with extractor hood over, plumbing for a washing machine and dishwasher, radiator, two storage cupboards, tiled flooring, door to utility. Doors to side aspect and garden. Double glazed window to side aspect, access to loft void, doors to bedrooms, bathroom and airing cupboard. Double glazed window to rear aspect, radiator, two storage cupboards. Double glazed window to front aspect, radiator, two storage cupboards. Obscure double glazed window to rear aspect, a three piece suite comprising a panelled bath with mixer tap and shower attachment over, pedestal wash hand basin, low level w.c., heated towel rail, complementary tiling. Mainly laid to lawn, enclosed by timber fence panelling, shed to remain, outside tap.